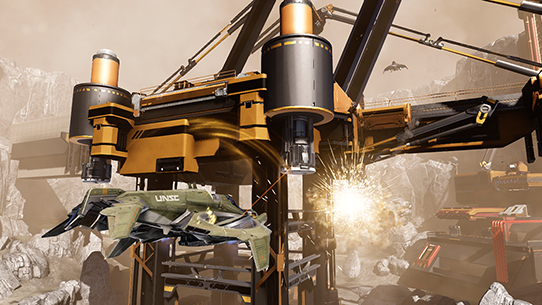 Welcome back, loyal readers, to the latest installment of the Halo Community Update. When we last left off, we were getting ready to ship off to the UK for Europe’s HCS Finals, and as I write this, a good part of the team is already down in LA putting the finishing touches on the North American show as well. I have stayed behind for an extra day to bring you the latest in community news. I’ll kick things off with some items that are top of mind for me (and perhaps you as well), and then I’ll hand off to Grim for a few things that he’s been going on and on about all week. Let’s get into it! First up, teams in every corner of the studio are hard at work on the next content release for Halo 5, which includes plenty of new goodness. 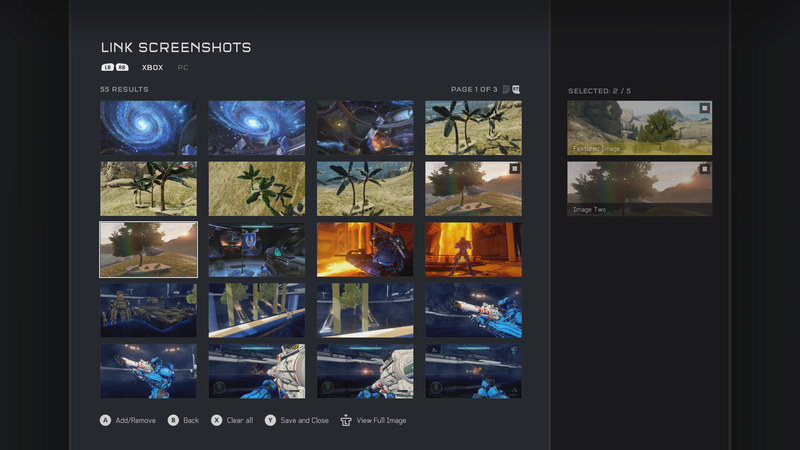 The Halo 5 Content Browser and the release of Forge on Windows 10 will be landing around the same time, and we’ll be talking about all of these and more within the next month. I do think you’ll like it. Also of great interest to me are plans for the August season, including playlists and more, so I sat down with the multiplayer team to get the latest. For starters, the August season will be 4 weeks in length, and will run through the end of the month. 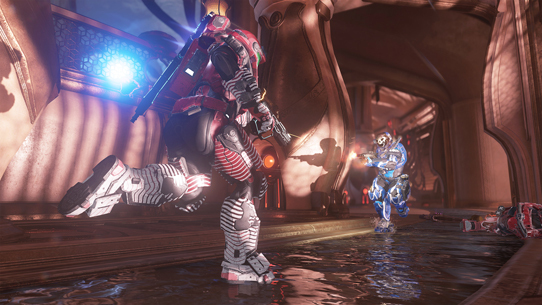 Additionally, the team is working on a few upcoming playlists that will arrive during the August season, including Team Doubles – this will be a ranked iteration of Doubles on developer-made maps with reduced ammo counts, and the team is currently completing the work to make the playlist available next week. Over time, we’ll be looking to add the finest (and updated) community-created 2v2 maps, which you’ve been checking out in Community Doubles. 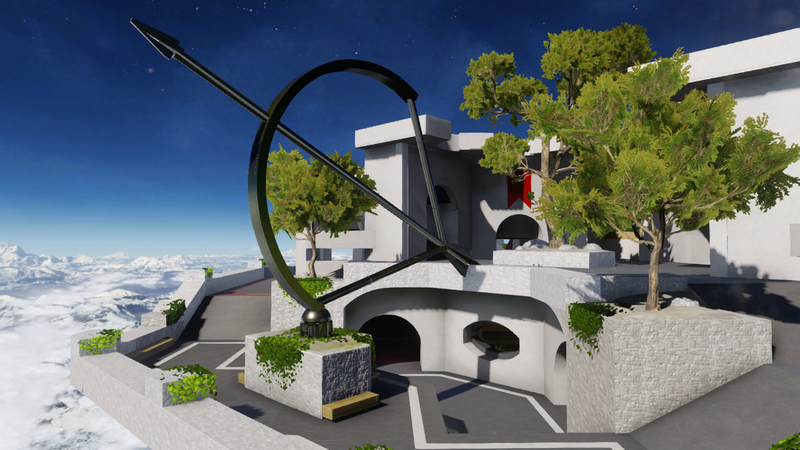 The MP team is also working on the next iteration of a social objective playlist, and the current plan is to bring it into the rotation during a feedback period (similar to Assault or other preview playlists) to get your input on a variety of map/gametype combinations that aren’t available elsewhere in matchmaking. Before we close, some updates on a few other items: Snipers is this week’s social playlist, Orion-II (the updated version of Orion from Forger Black Picture) is nearly ready to go, but some nasty spawn traps were found late this week, so we’ve brought it back into the lab for some spawn edits, and the team is also looking to add a new map to the Slayer playlist in August – enter White Cell from Forger Chronmeister. The map will be coming to Slayer during the August season. 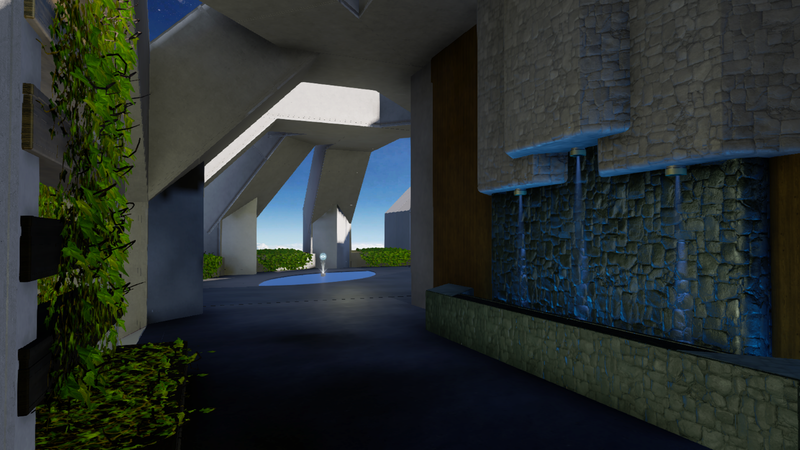 To check it out early, grab the map from Waypoint here, or check out the detailed and updated ForgeHub page. There’s plenty more on the way in terms of playlists and more, and you can be sure that we’ll be bringing you the latest right here on Waypoint. I need to catch a flight to the HCS North American Finals, so I’ll hand things over to Grim. Take it away! If there’s one thing almost every community member has in common, it’s that they’re always hungry for more Halo. Well this Monday, we’ve got something that’s sure to whet that appetite – but perhaps in a different way than you might think. Just when you thought Halo couldn’t get more awesome, our friends at Food Network have gone and combined it with something unexpected and wonderful: cake. On Aug 1, at 9 p.m. EDT, make sure you tune in to Food Network to watch Xbox Live’s Major Nelson join the show’s stalwart crew to judge some epic custom Halo-themed cakes on a brand new episode of Cake Wars. Sergeant Johnson might know the way to a lady’s heart, but Food Network certainly knows the way to ours: through our stomachs. Don’t miss this awesome Halo invasion of one of the most delicious time-slots in television! Week after week during the European HCS Pro League Summer 2016 Season, the squad from FAB Esports (FABE) proved that they were standard by which European Halo esports should be measured. Finishing the regular season an undefeated 10-0 – and dropping only four individual maps all season – all focus was directed towards finishing their fight in the EU Summer 2016 Finals. Joining FABE in the final four were Team Infused, XMEN, and Vibe – all looking to put together the perfect run it would take to deny FABE a dominant ending to a perfect season. In the end, the dominant team all season long were the same to hoist the hardware, with FAB Esports answering every critic along the way to an incredible undefeated run. Now, as eyes turn towards the North American HCS Pro League Summer 2016 Finals next weekend in Los Angeles, the question on everyone’s mind is just how far FABE can take their success – perhaps all the way to the Halo World Championship? For the full recap of the EU Summer Finals, head here. On the North American side of the HCS Pro League, the Summer 2016 Season saw some incredible competition from top to bottom – the only remaining Finals spot still undecided until the very last match of the season. Veteran players showcased their experience, while new stars began to emerge. Rivalries were renewed and champions stood tall as the eight HCS Pro League teams proved week after week why they were among the top esports teams in the world. You can check out all the action from our live studio audience by purchasing tickets here, but if you can’t be there in person, you can catch it all streamed live on Twitch.tv/Halo and Halo.gg. July 30, 12 p.m. PST – Kicking off the action on Saturday, the Top-4 will begin their Finals journey with CLG taking on Cloud9, and Enigma6 meeting nV in the opening round of the Winner’s Bracket. In addition, Saturday will also showcase the conclusion of the Relegation Bracket, as Team Liquid and OpTic Gaming, who finished 7th and 8th respectively in the Summer 2016 Season, defend their positions against Elevate and Denial Esports – the top two teams from the NA Open Circuit Finals to determine who will take the final NA HCS Pro League spots in the Fall 2016 Season. July 31, 12 p.m. PST – The Summer 2016 Season’s top four North American HCS Pro League teams – CLG, Enigma6, Team EnVyUs, and Cloud9 – will battle it out in front of a live studio audience at the Novo Theatre in Los Angeles, CA for Halo esports glory in a best-of-seven double elimination tournament to determine the Summer 2016 champion. To check out our full preview of the NA Summer Finals, head here. Also, our very own Che Chou and Mike "Strongside" Cavanaugh were featured on Bleacher Report's newest episode of eStream, covering the latest Halo Championship Series news and chatting the state of esports overall. It's a great watch and always awesome to see Halo in a new spotlight, so definitely check it out! For fans at home looking to get in on some larger-scale competitive Halo action, the fine folks at bigteambattle.net will be hosting their Summer Shootout Tournament this Saturday, July 30 at 12pm PT. Bringing together competitive teams of 8, the high-octane event will even feature EU pro players such as Batchford and Respct. The single-elimination tournament will follow a best-of-5 format for all initial rounds, culminating in a best-of-7 Grand Final. The top three teams will bring home premium Halo gear from 343 Industries and J!NX, and the top two will take home a share of a $1,000 cash prize! Full details can be found here, and be sure to follow @OfficialBTB for all the latest updates on the event. Good luck! Imagine if you will, a simple yet intriguing oil lamp - perhaps one rescued from some far-flung sand dune. A lamp that when rubbed, produces not quite a genie, but instead spews forth intriguing imagery. There is such a lamp that lies amongst the scattered desks of the Forge team. I rubbed it. You're welcome. And now, for a bit of fiction fun. The past couple weeks have produced some pretty awesome moments for fans of the Halo story and universe, so let’s catch up on everything that’s been happening! “Another Comic Con is done! I have to say, after about a decade of going to this show, I am always still amazed at the sheer volume of people, and they amazing creativity on display. You folks are amazing. We had a lot of great things going on there this year from a Halo perspective, but a couple in particular stood out above the rest for me. One was our story panel, where we dove into a bit more detail regarding the upcoming setting for Halo Wars 2. In addition to talking story, and the process of creating some awesome new characters, we introduced Isabel, the new AI making her debut in the game! Erika Soto is bringing her to life, and just amazingly captures the fire and sense of almost vulnerability that we wanted with this character. I’m thrilled with the response to her so far! We also had the game playable at the show. We had a huge number of people come by and play, and really these are the best moments for us, as we get to interact one on one with the people playing, hear what they like, what they’d like to see – it’s just magical. Thanks everyone who came to the panel or swung by the play the game. You are the reason we do this! Thanks, Dan! Speaking of that story panel, if you haven’t gotten a chance to watch it yourself, you can do so right here. In addition to the panel itself, we also unveiled a pretty sweet new story-related Halo Wars 2 ViDoc that pulled the curtain back on the inspiration, narrative, and artistic direction of the upcoming RTS title. If you’ve already seen it, CLICK IT AGAIN. Please, think of the children. 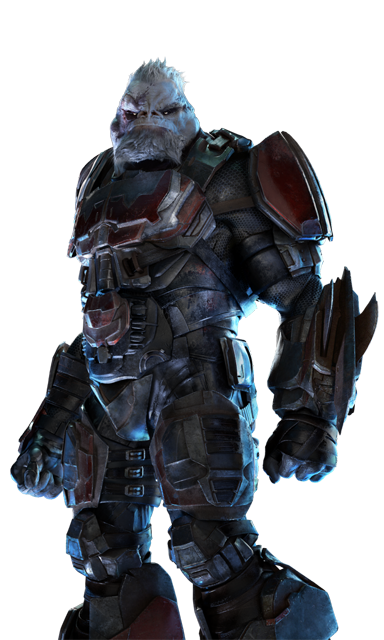 Part of our recent Halo Wars 2 info onslaught also included a few awesome initial details on some brand new characters to the Halo universe. We’ll take a quick look here, but be sure to head over to the breakdown from our friends at Gamespot for even more info. Isabel is a smart AI created to manage logistics at a UNSC outpost on the massive Forerunner construct known as Installation 00, or "The Ark." Halo fiction fans might remember that the UNSC has been working hard to establish a presence on the Ark, and in 2555 were involved in a joint task force mission with a group of Sangheili there during Operation: FAR STORM (Learn more in Halo: Hunters in the Dark!). When Isabel’s base was destroyed in a surprise attack by the Banished she was powerless to stop the slaughter of her friends and colleagues. Following the loss, she swore revenge against Atriox, and is more than eager to do whatever she can to deliver proper retribution. Decimus is truly a “Brute’s Brute” in the ultimate sense of the word. Aside from standing alongside Atriox in hatred of the Covenant empire – and anything that remains of it – Decimus has also enjoyed more than his fair share of wreaking havoc on humanity. And now on the Ark, he has yet another opportunity to do just that. Also, Shredder-style gauntlets. 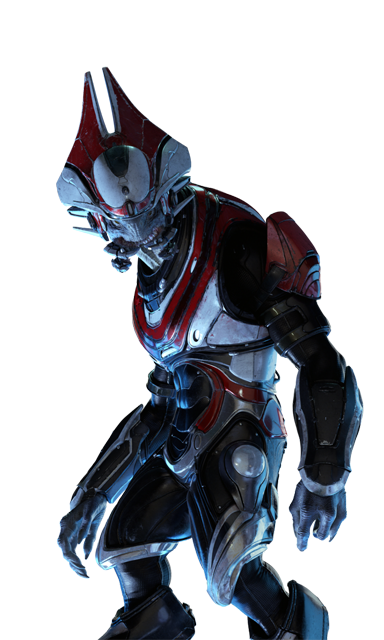 Truly one of the most intriguing characters to be introduced, Let ‘Volir is the walking embodiment of the current state of the Sangheili race – courageous but conflicted, he fosters animosity towards virtually all sides that aren’t under his own command. He looks with distain upon the Arbiter’s attempts at peace with humanity, but sees the Covenant as ultimately nothing more than a falsehood that crippled his people and repressed their nature. For now, he can comfortably call nowhere home, save for his ship and his crew, and will do whatever it takes to ensure their futures – even if it means working alongside the Jiralhanae. One of the many incredible SDCC-exclusive Halo products on offer last weekend was a very special Spartan HELIOSKRILL figure from Mattel. And while it might be biased of me to say, one of the coolest aspects of this figure in particular was the bit of extended lore that lay lovingly crafted upon its collectible packaging. We know that many of you couldn’t make it to the show to grab the figure for your own shelf, so we thought it might be nice to share the small story spoils with you here. 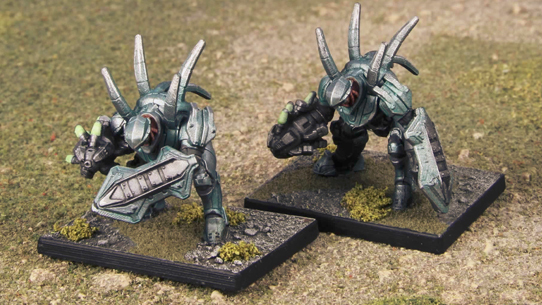 The first – and so far only – Mjolnir variant not designed by humans, the Helioskrill’s pattern-language was composed by a Sangheili artisan-armorer of unsurpassed brilliance and insight in the arts of war. 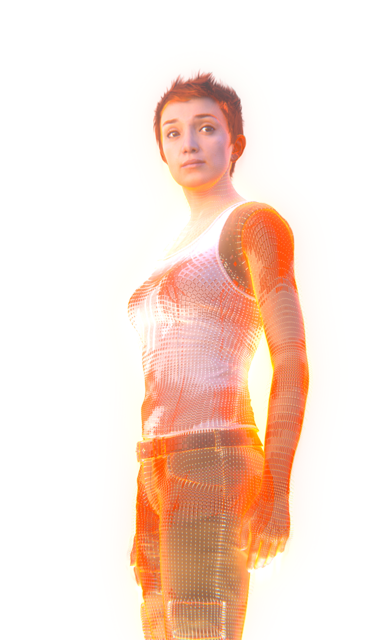 Fully compatible with all Mjolnir GEN2 techsuits, the Helioskrill implements even heavily classified and encrypted Mjolnir neural interface protocols, despite the Sangheili prodigy having only minimal UNSC assistance available to her. Other systems are modified versions of those found in traditional Sangheili combat harnesses, such as the pinch fusion reactor and nanolaminate armor plates. Available in limited numbers to the UNSC through an undisclosed agreement with the Kolaar Manufactorum on Sanghelios, the Helioskrill remains one of the most exotic Mjolnir sets in the Spartan armory. Spartan commanders use the possibility of its acquisition as an incentive to drive their troops to victory in War Games exercises and historical simulations. Tune in next week for a few sweet narrative nuggets to nosh on from our friends at Spartan Games. Might be neat. This week’s Community Spotlight is creating quite the sizzle around these parts. Introducing “Killer Bacon” by UEG Ren – an experience that will give “splattered by a Hog” an entirely terrifying new meaning. Also, we checked the barn for new leaked Halo content, but none was to be found. We think. And with that, we draw another week to a close. Until next time… Live well, play Halo, and don’t forget to make friends along the way.